WE'LL TELL YOU EVERYTHING YOU NEED TO KNOW, NOT JUST WHAT YOU WANT TO HEAR! We treat each client as if you are the only one! Unique knowledge of and experience in the local areas. Provide home town accountability with honesty, integrity and reliability. Zachary is one of the fastest growing cities in the US according to Family Circle Magazine. Because we are focused on you and your needs! All Owen Realty, Inc. Realtors are members of the The National Association of Realtors. All Owen Realty, Inc. Realtors are members of The Greater Baton Rouge Association of Realtors. 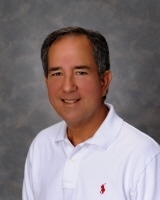 Hubie is the owner/broker of Owen Realty, Inc. Hubie has lived in Zachary since the 8th grade and has been licensed in Louisiana real estate since 1978. Hubie is also experienced in banking and is a Louisiana licensed contractor. Hubie has been active in the community with the Zachary Chamber of Commerce, Lion's Club and with the Zachary Community School System as a board member and past president. Hubie is a former Zachary City Councilman. Hubie doesn't meet a stranger and gives you the personal touch meeting your real estate needs.